Hi there, my darlings!! 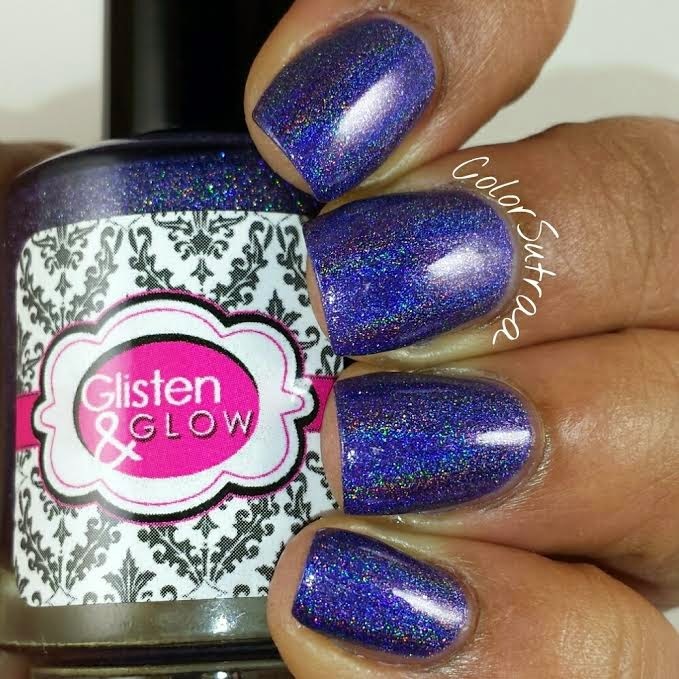 If you recall, a couple of weeks ago, I was delighted to review Jill of Glisten & Glow's contribution to March 2015 A Box, Indied from Llarowe--you can find that review HERE. 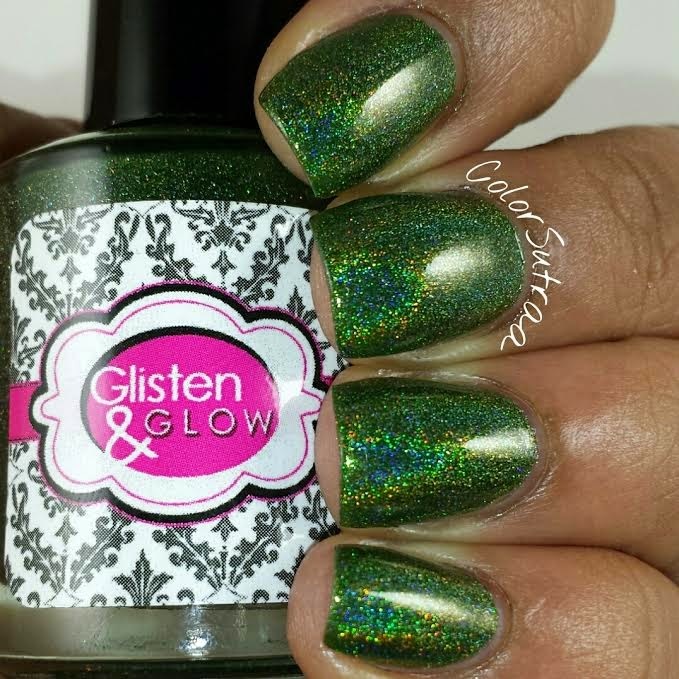 Well, in that package, there were a few other goodies--namely Glisten & Glow's Holiday 2014 Trio which I was like to share with you this afternoon! 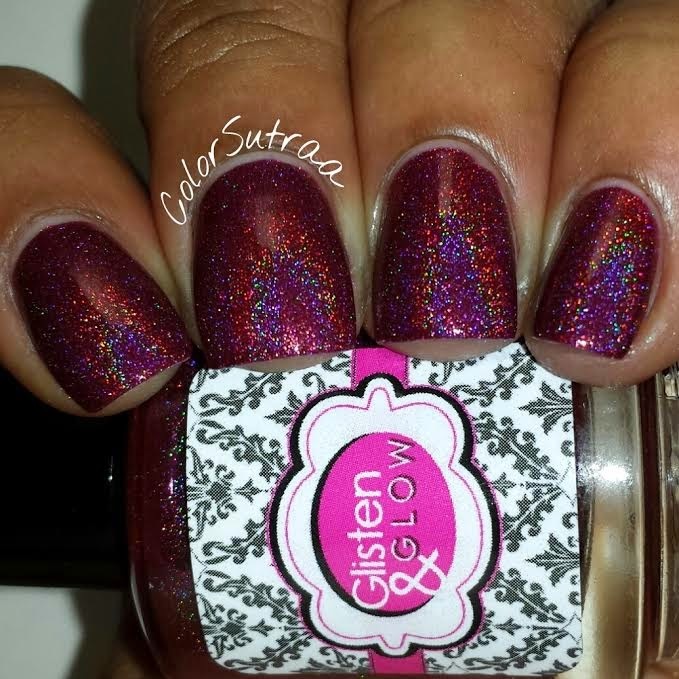 Before we get started, let's talk quickly about how fantastic formula and application of these three linear holos were! Each of them was easily opaque in 2 easy coats and I bet you could even get away with one coat depending on how thickly you paint. I saw none of the issues that strong linear holos can sometimes display--that is, there was no streakiness or patchiness to mar the beauty of these holos! 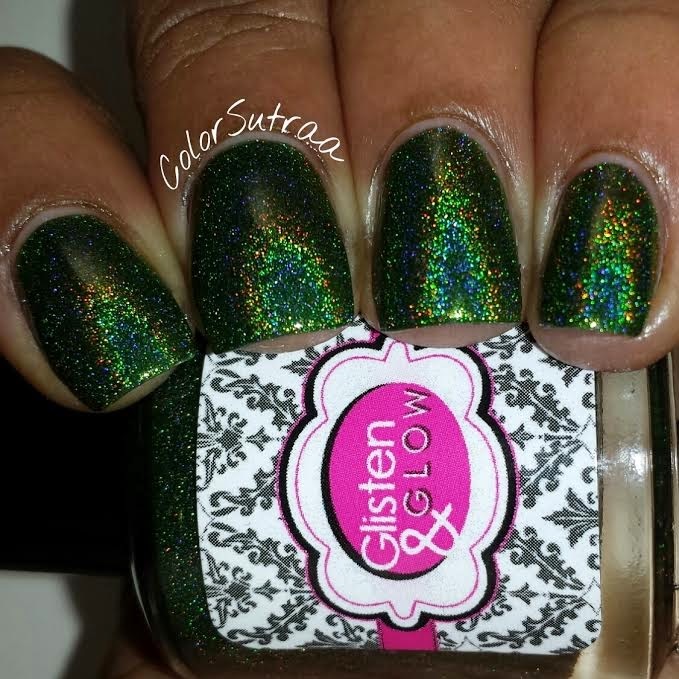 The swatches below show 2 thin coats topped with 1 thin coat of G&G's HK Girl--dulling of the holo flame? I think not! Just wait and see! 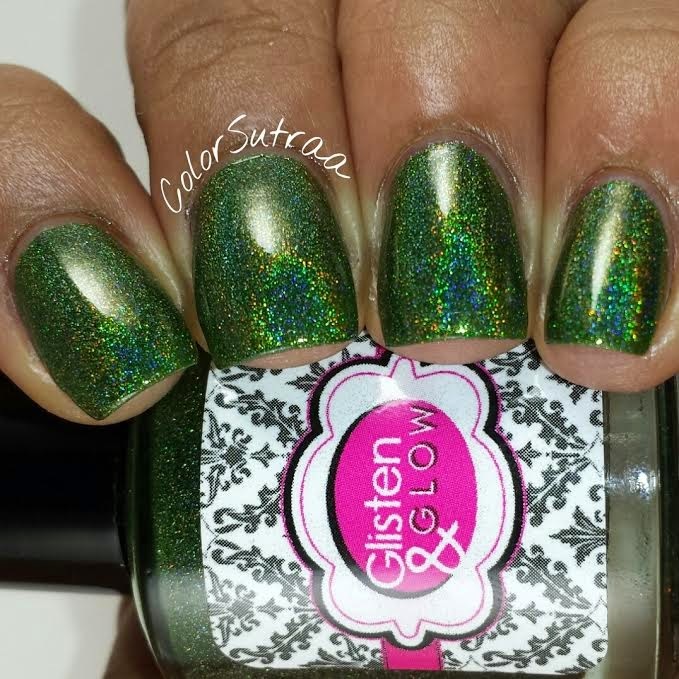 Elves Gone Wild is an intense emerald green linear holographic polish. If you love your greens, you're going to flip for this one! 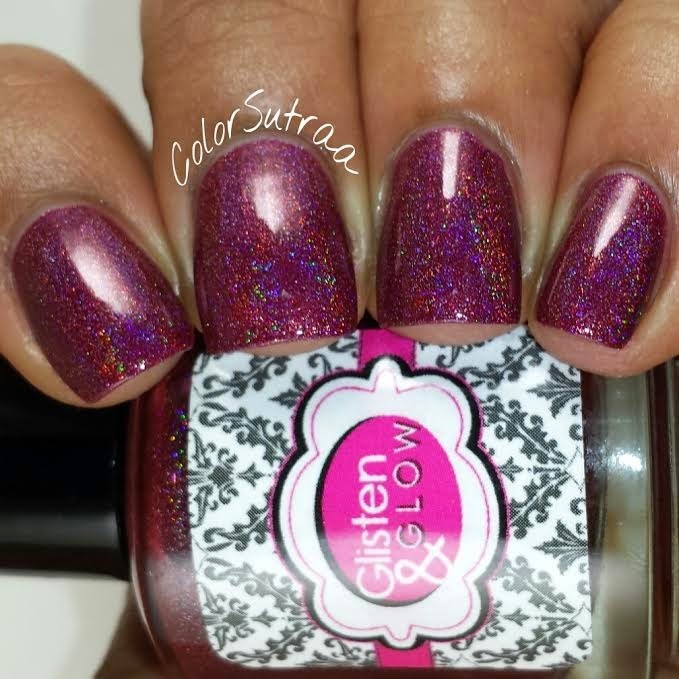 Kissing Mrs. Claus is a vampy wine red linear holographic polish. Oh how I love this one! 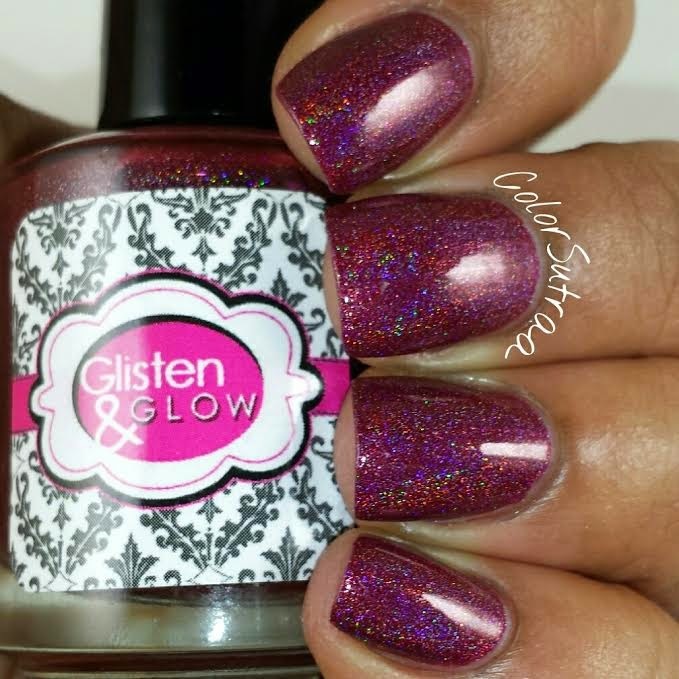 Such a gorgeous berry/wine shade! 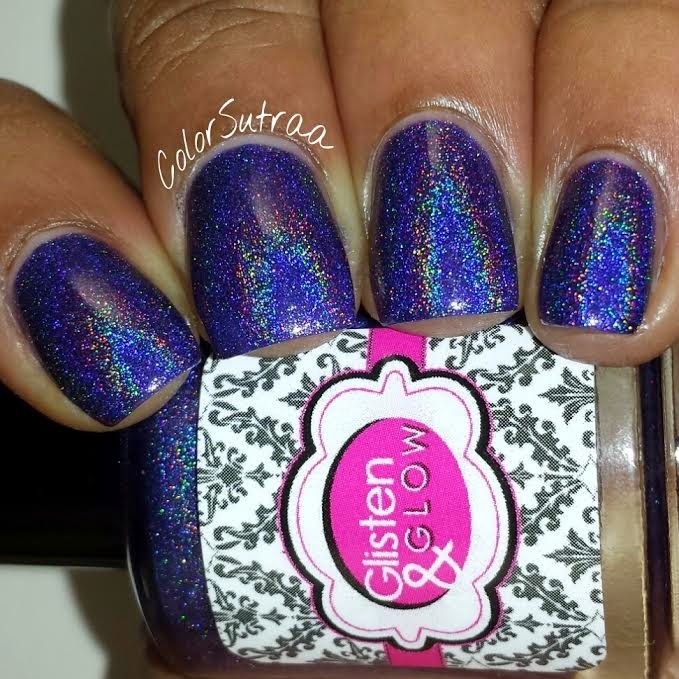 Elves Gone Wild is gorgeous blurple (bluish-purple) linear holographic polish. 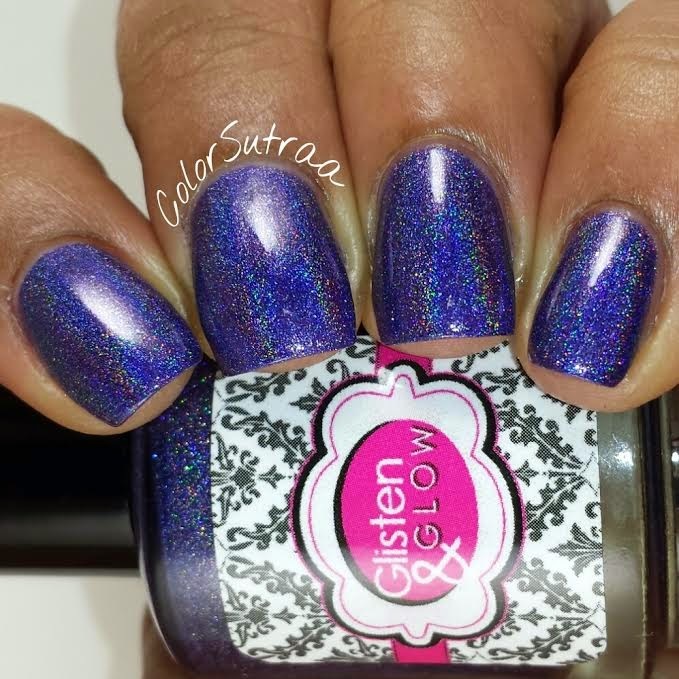 Though I was hard-pressed to choose between this one and Kissing Mrs. Claus, this one won by just a smidge--it's not often one finds a good blurple and the holo flame in this one was particularly strong!